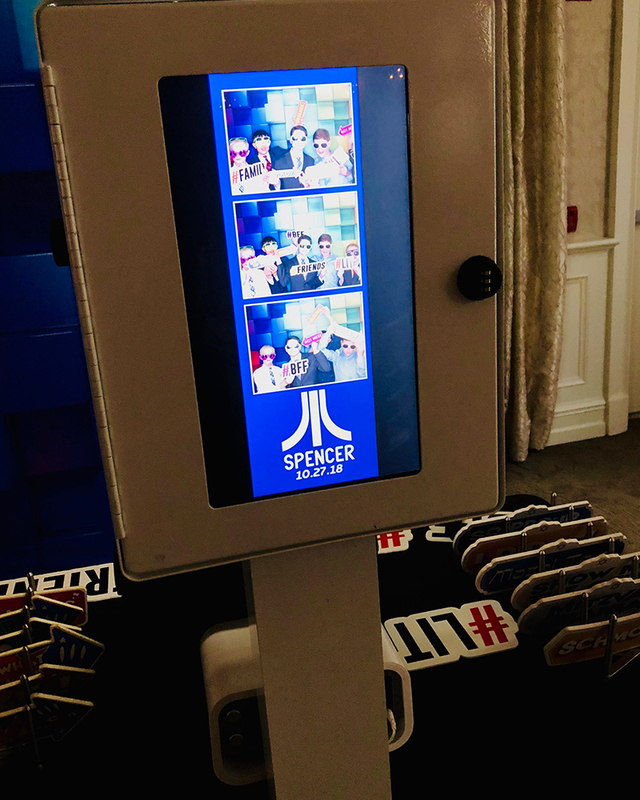 The Photo Bot is 3 photo booths in one! 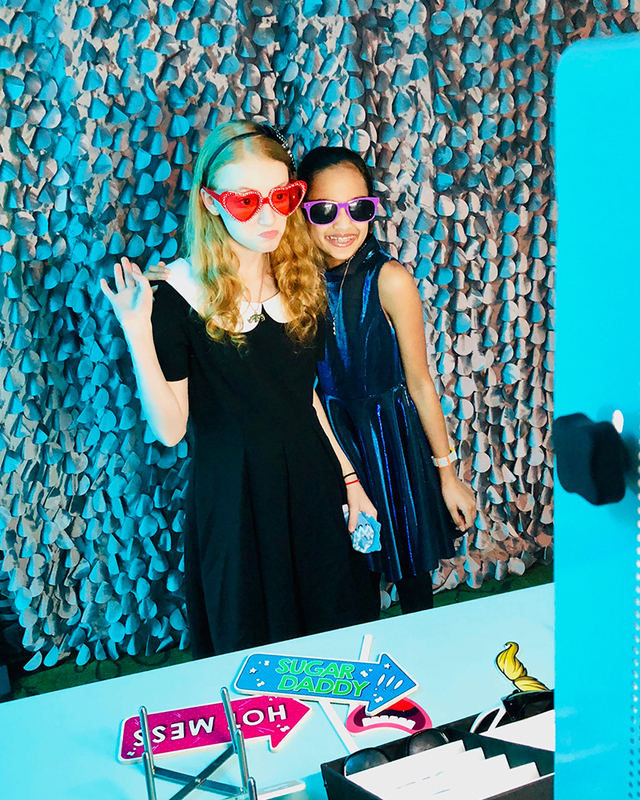 It goes where other photo booths can't... everywhere! 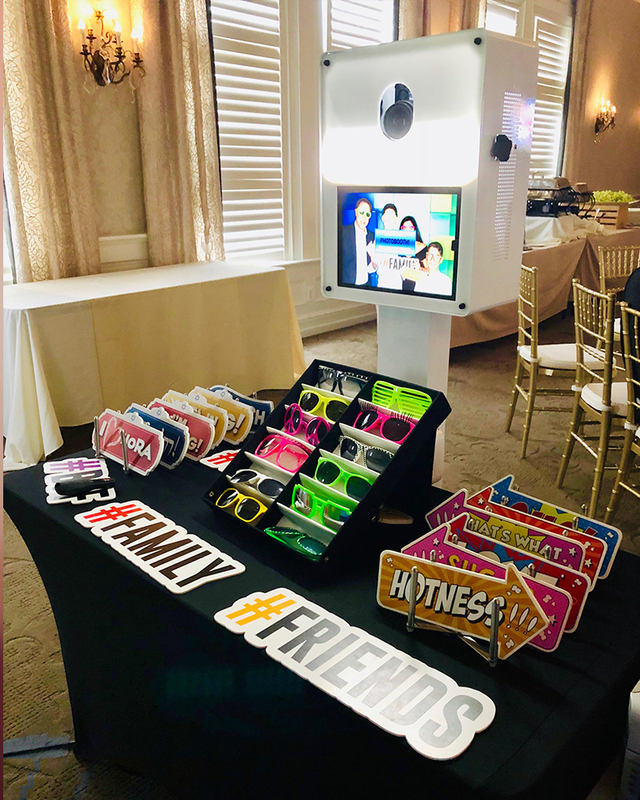 1) The Photo Bot is a remote controlled photo booth that will roam around the cocktail hour, go from table to table, and even join your guests on the Dance Floor! 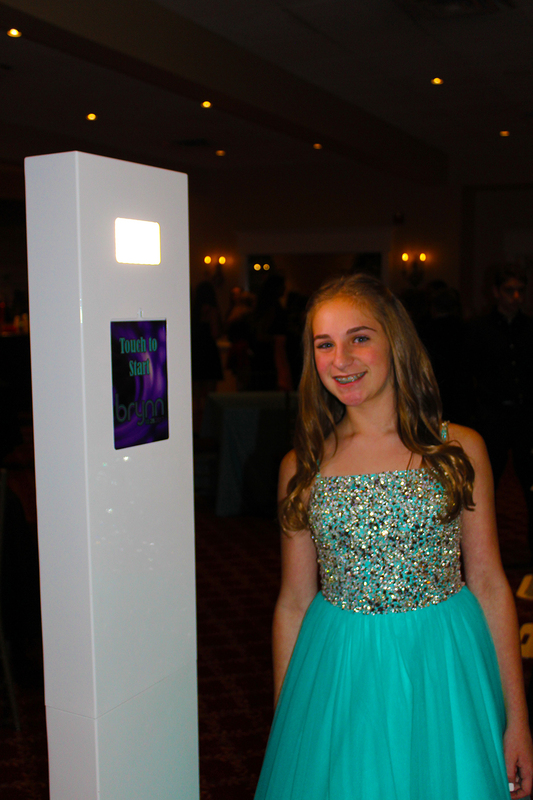 2) Its Also a Stand alone booth- the Photo Bot can be located in a designated area as a stand alone photo station. Our decorative backdrops add to the uniqueness of the photo. 3)! 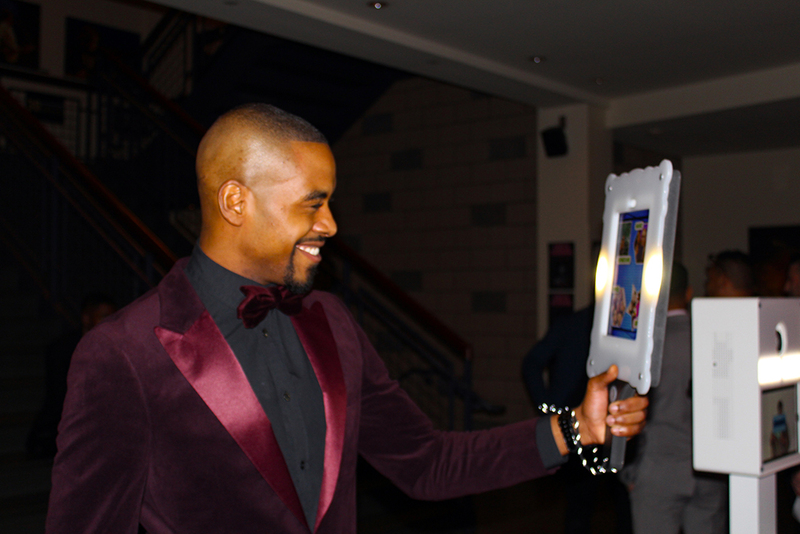 The Photo Bot can be converted into a handheld photo booth. Our attendant will bring the booth to you!!! There's no need for printing with the Photo Bot. 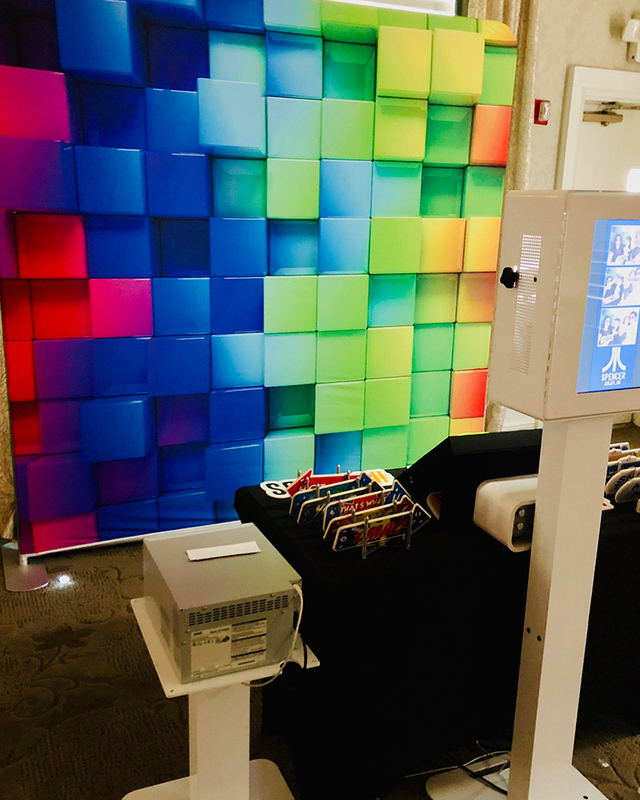 This futuristic Booth allows guests to email and text their photos directly from the Bot. Best of all, the Bot allows guests to use Snap Chat inspired filters, and it created animated GiFs and boomerang videos! 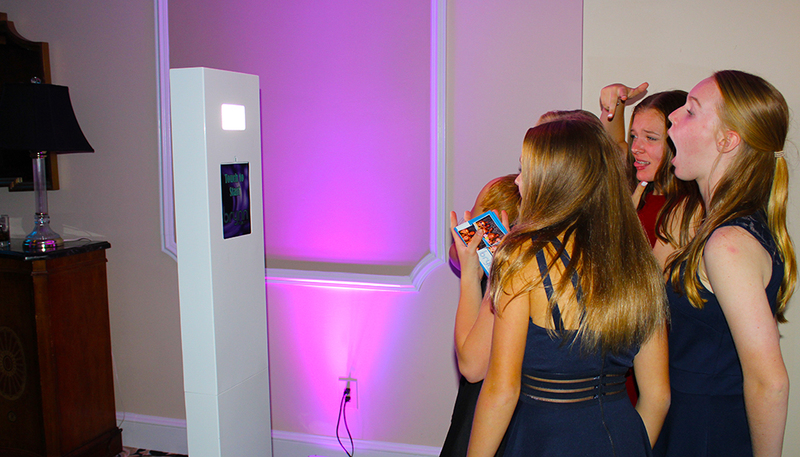 Unlike traditional photo booths, the Mobile Mirror brings the photo booth experience to your guests! 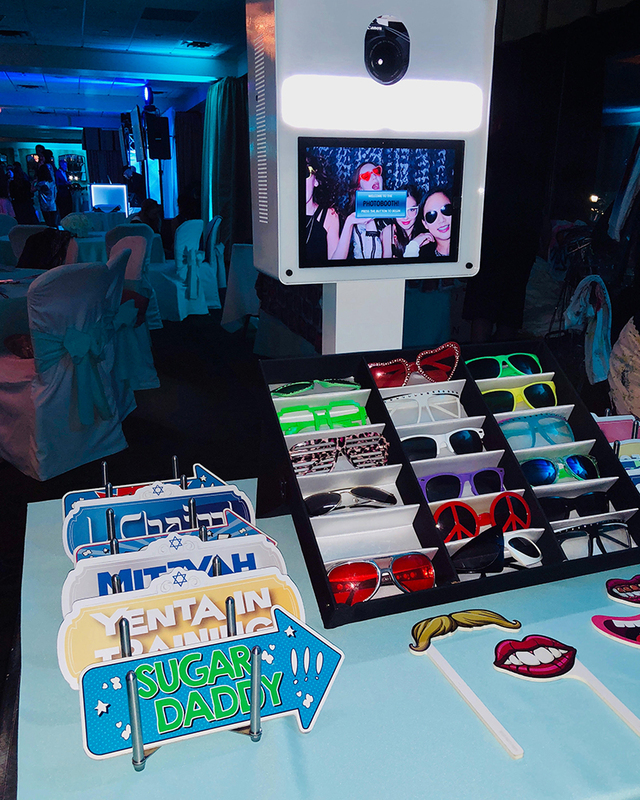 Whether during cocktail hour, at their tables, or even on the dancefloor, The Mobile Mirror goes places a traditional photo booth can’t. 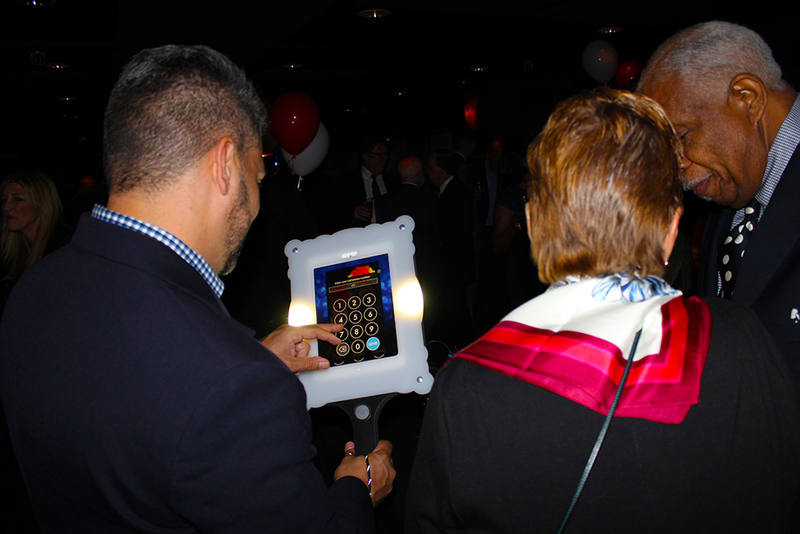 Guests have the ability to email or text their pictures directly from the Mirror. 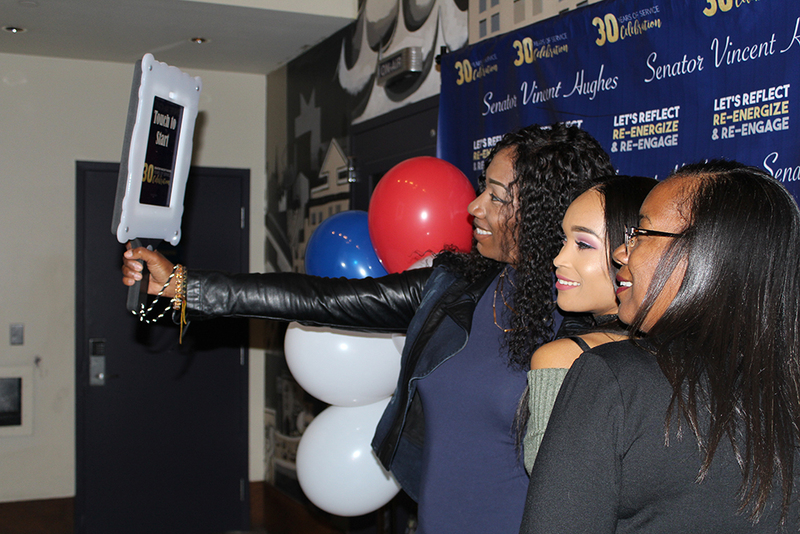 Within moments, guests receive their photos and have links to share them to Snapchat, Instagram, Twitter, and Facebook. It can even do animated GIFs and boomerangs! We customize all of the artwork, from the screens on the Mirror, to the photo overlays. Your logo, theme, and color scheme are incorporated for a uniquely personalized experience. 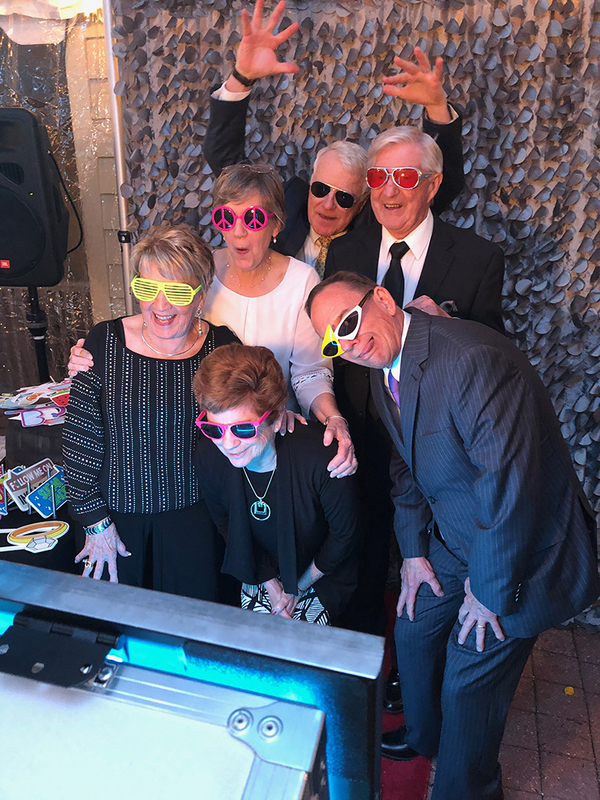 - Elderly guests can get in on the photo booth fun as the Mirror comes to them! Our Social Media Booth is the ultimate social media sharing experience. It can do animated GIFs and boomerangs! Your guests than have the opportunity to text or email their photos directly from the Tower. Within moments, they receive their photos and have links to share them to Snapchat, Instagram, Twitter, and Facebook. Sessions are very quick. The average one takes around 15 seconds. 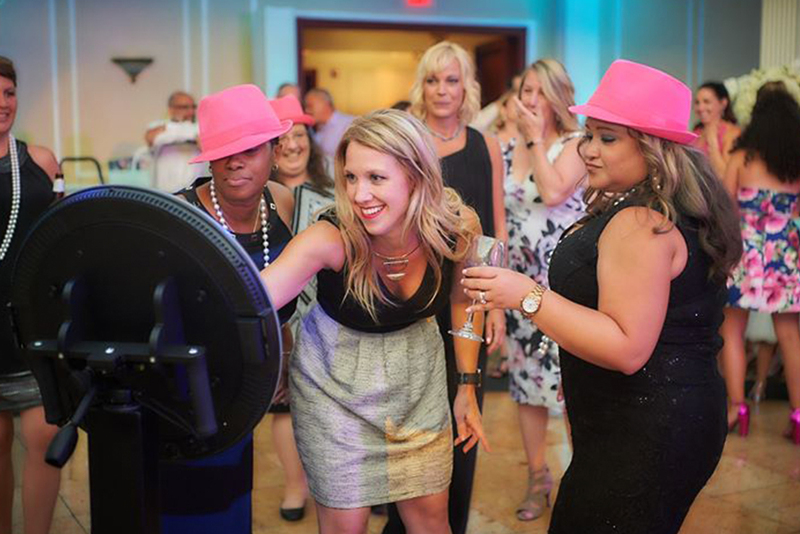 - The line moves quickly, and gets your guests back onto the dancefloor. Guests simply choose their background. For example: Magazine cover, Exotic location, Movie poster, Sporting themes, TV shows, and many more. 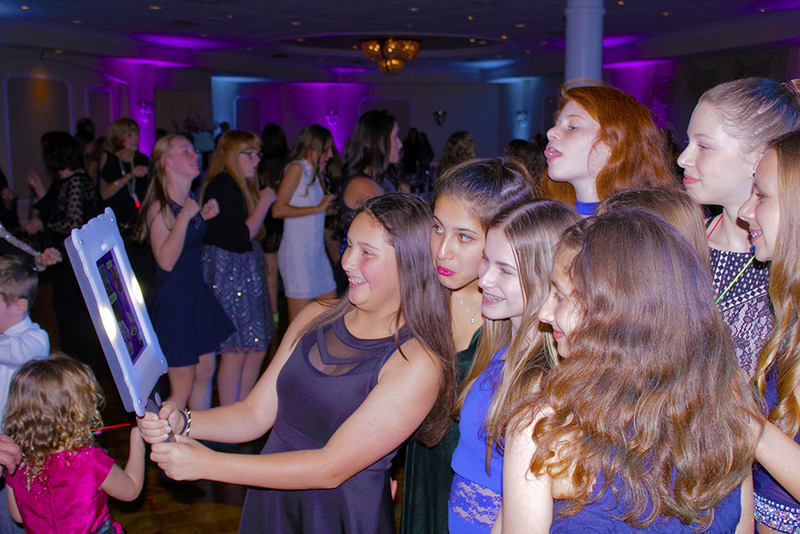 After posing for their picture, our staff will digitally transfer, enhance, and print their Photo. 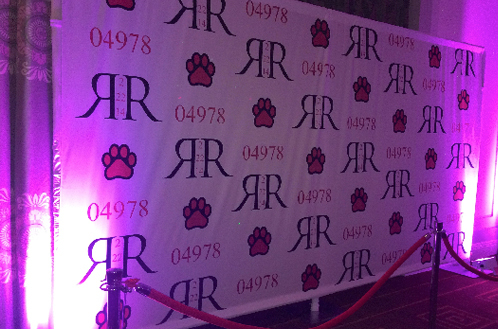 We will gladly work with you to create a custom backgrounds to compliment your party theme. Gift Bags included. You will receive a copy of all Photos produced at the event. 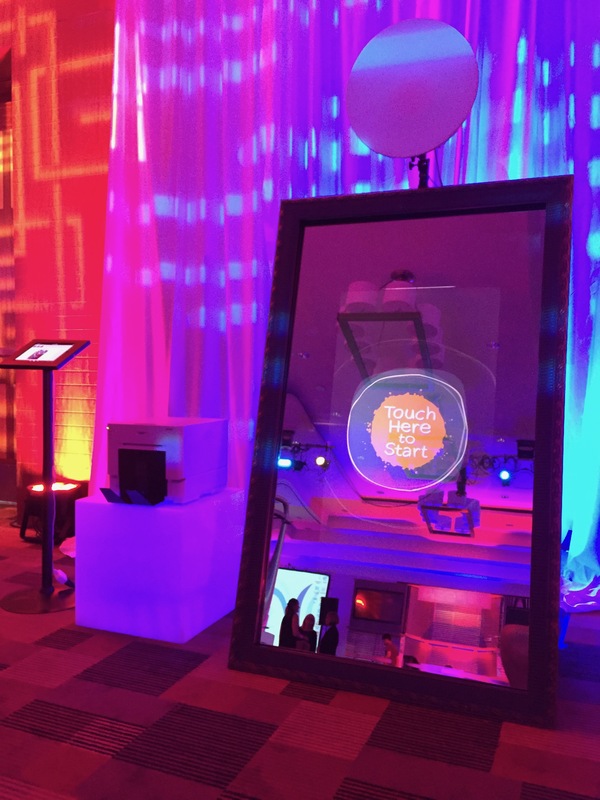 A beautifully framed Interactive Digital Mirror! 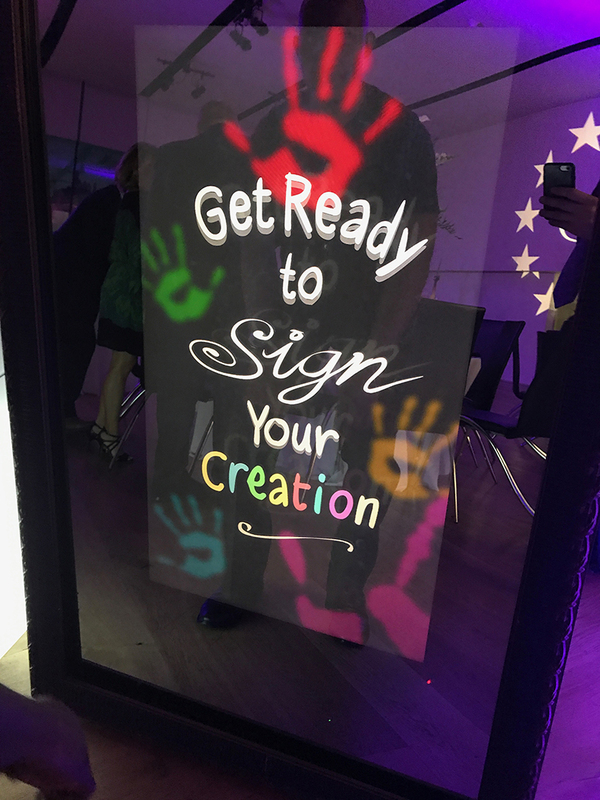 The Mirror will guide the guests through some fun poses then they can use our touch screen mirror to draw on or sign the image. Includes attendant, unlimited prints, custom branding, email and social media. Frames and props are optional. 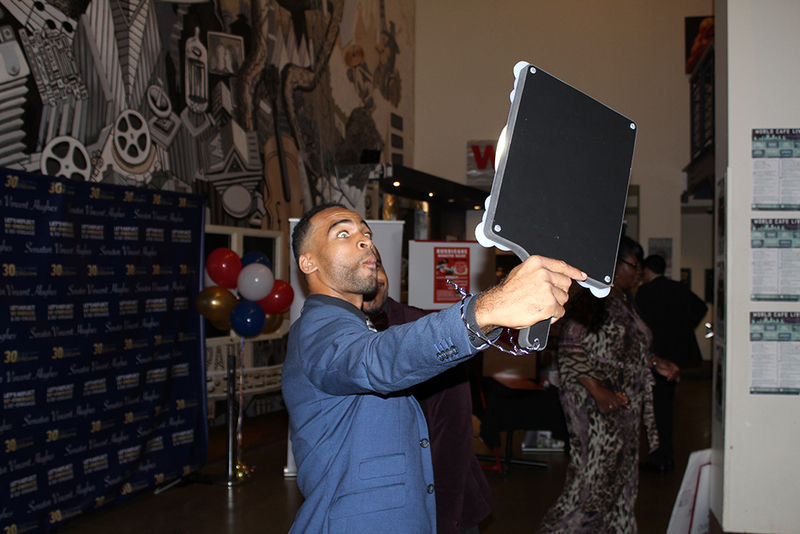 Paparazzi , Step & Repeat, Whatever you call it, Step in front of it and you feel like you are at at Star Studded Event. 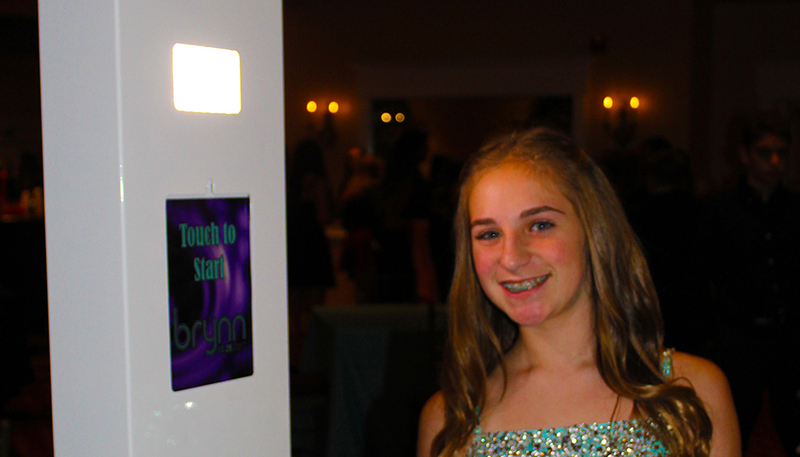 Custom Step & Repeat Backdrop designed for every event. 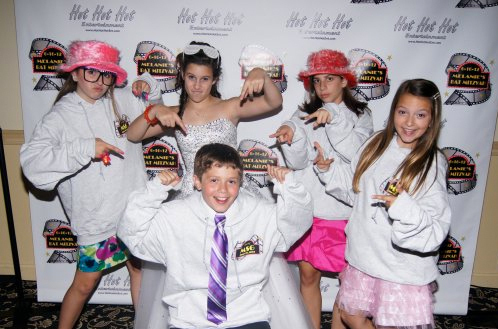 Red Carpet with Stantions, Unlimited digital photos of you guest included. Gift Bags Included. All Pictures will be saved and a 2 CD copies will be provided after the event. Show Us Your Best Pose! Unlimited Pictures taken. Guest stand in front of our cool Backdrop. Bring out your best pose. Fun Props. All pics come in a photo strip. 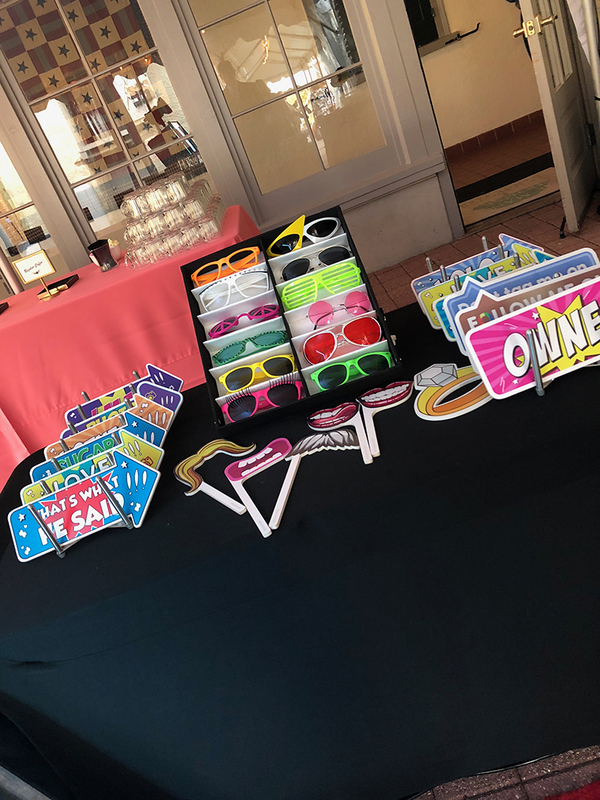 Will put your name / logo and date of event on Photo Strip. You will receive a copy of all images taken from your event. Click here to visit our Event Planning and Decor Division.